It appears that Samsung plans to bring AR Emoji, a feature limited to flagship devices, to budget-friendly phones, and the first to get it is the Galaxy J7 Duo. Almost all recent high-end Samsung smartphones have already received this update, so it kind of makes sense to bring AR Emoji to other devices and the Galaxy J7 seems like a good choice. 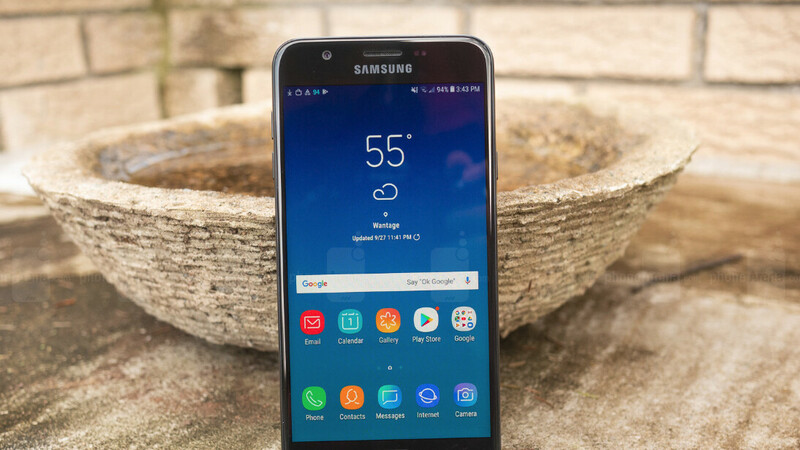 Samsung Galaxy J7 (2018) is already available for purchase in the United States, although the update released recently is aimed at the dual-SIM version. Even so, there's a high chance that the single-SIM variant will be getting the update as well. 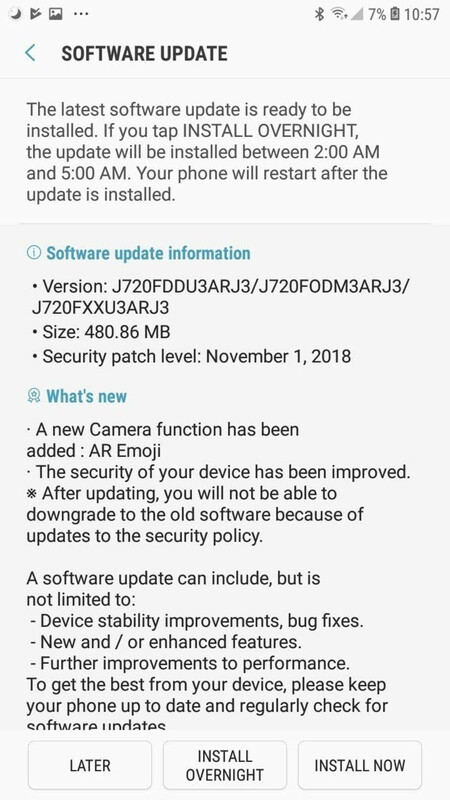 Speaking of the update, it's not just the AR Emoji feature that is included in the new firmware version J720FDDU3ARJ3, but the latest November security patch as well. As SamMobile points out, the update weighs in at 480MB, so make sure you have enough storage space. Although there's no guarantee that AR Emoji support will make it to other Galaxy J series smartphones, it's nice to know that Samsung is trying to bring premium features to cheaper devices. How come they released November patch in October? Just changed month name from the last patch. Didn’t receive October patch even for S9 plus. Depends on a lot of factors but it should be there soon. Yesterday received October patch for my S8 for India region. Judging by the trends previously, this should not have been a surprise. Many manufacturers have released security patches like this.